My sales person Chris Davis was very understanding took his time listening to what I wanted and made the experience was hassle and pressure free, made it happen for the price i wanted excellent place to buy a car especially from Chris thank you guys. 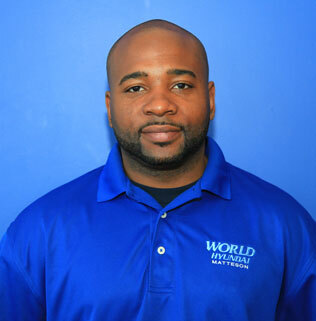 Chris Davis was very helpful and gave me exactly the service I asked for. The improvements are great on the 18 sonatas it rides great and quiet. This is the 2 time I purchased every time its nice and smooth my sales person Chris was fast and thorough. I Always get my service done here ,there excellent in every aspect imanginable thanks World.